Test your Spanish writing skills! Spelling is a key aspect of being able to write in Spanish (as with any other language of course). Our Spelling Game is a simple activity to help beginners learning Spanish to improve their spelling and word recognition skills with vital vocabulary they will need day to day in learning and using the language. 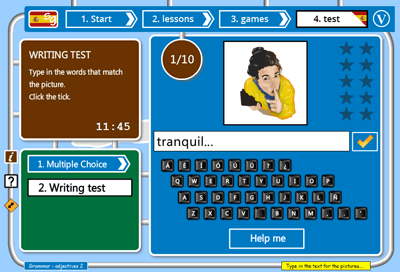 Spelling Game encourages faster word recognition for common and vital words and short sentences. 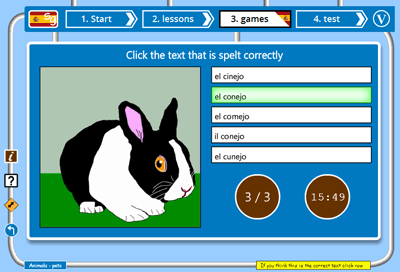 Spelling Game also improves the spelling skills of beginners learning Spanish.